When Brett (David Wenham) and Michelle (Toni Collette) finally find a place for themselves, the situation turns violent quickly. Sandra (Lynette Curran) dismisses Michelle's (Toni Collette) accusation of being terrified of her own children, while her "boys" stir up a party in the living room. Michelle (Toni Collette) grows suspicious over Brett's (David Wenham) behaviour towards his brothers and dealing with the family. When Nola (Anna Lise Phillips) wants to leave, Michelle (Toni Collette) confronts Stevie (Anthony Hayes) about his behavior towards his girlfriend. The Sprague family gathers around the kitchen to celebrate Brett's (David Wenham) release from prison. Brett's (David Wenham) first meeting with his girlfriend (Toni Collette) after being released from prison quickly escalates due to his accusations of her infidelity. Brian's escapades have gone too far, forcing Mandy, who has sacrificed everything for him, to finally move on. After Brian comes out at a press conference, his agent, Jerry Devine, takes the opportunity to turn his new notoriety into star power. Cecil recounts the day Jerry Devine discovered Brian and the skyrocket to super-stardom that left him alone in the dust. One night at the Sombrero Club, Cecil finds himself transfixed by Brian Slide, his music and his ideals. 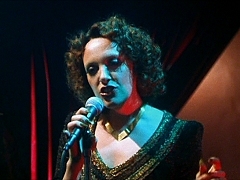 Interview with Toni Collette from the making of "Velvet Goldmine". Toni Collette is interviewed on the set of "The Boys". 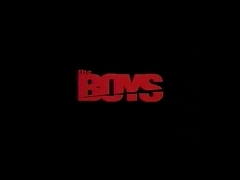 American Home Video trailer for "The Boys", directed by Rowan Woods and starring David Wenham and Toni Collette. 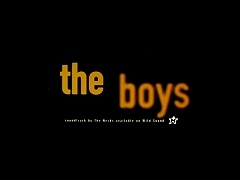 Australian television spot for "The Boys", directed by Rowan Woods and starring David Wenham and Toni Collette. 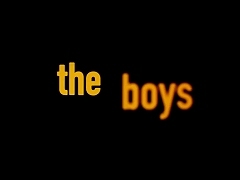 Australian theatrical trailer for "The Boys", directed by Rowan Woods and starring David Wenham and Toni Collette. 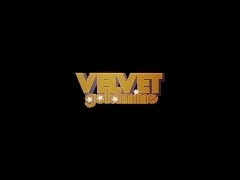 Theatrical trailer for "Velvet Goldmine", directed by Todd Haynes and starring Jonathan Rhys-Meyers, Ewan McGregor, Christian Bale and Toni Collette. October 02, 1998. Toni Collette attends Late Night with Conan O'Brien to promote the theatrical release of Velvet Goldmine. May 23, 1998. Press junket interviews with Todd Haynes, Michael Stipe, Christian Bale, Jonathan Rhys-Meyers and Toni Collette for the world-premiere of "Velvet Goldmine". May 23, 1998. 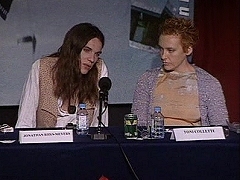 Press conference for "Velvet Goldmine" at the Cannes Film Festival, attended by Todd Haynes, Michael Stipe, Christian Bale, Jonathan Rhys-Meyers and Toni Collette for the world-premiere of "Velvet Goldmine".